Living in Germany for the past four years has taught me a lot about what it’s like to be Puerto Rican. Even though I haven’t lived on the island since 2007, the plantain stain, or mancha de plátano, is in me, no matter how much I try to hide it. Many people don’t know much about Puerto Rico, yet we are everywhere. Here is a humorous look at who we are, based on my experiences living in the US and Germany. To us, Puerto Rico is the best place in the world, so naturally, we’re disappointed when we say, “I’m from Puerto Rico” and only get a glazed look in return. It is even more disappointing when the other person is from the US since Puerto Rico has been a US territory since 1898. The ones who do know have been there on vacation or know someone from Puerto Rico. I met a guy from the Philippines who knew that Ricky Martin and Jennifer Lopez are Puerto Rican, so that was nice. Here in Germany, it’s even worse. The people only know that Puerto Rico is somewhere in the Caribbean or maybe in South America. They confuse it with Costa Rica all the time. It’s funny because Germans travel to Cuba and Dominican Republic a lot, yet have no idea Puerto Rico is right there, in the same area. All Latin/warm countries seem to suffer from the same problem–we always arrive late. In Puerto Rico, people often arrive one to two hours late to a party. 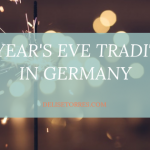 I’ve never been so late, but here in Germany, I’ve noticed how hard it is for me to be punctual, especially when German punctuality means arriving ten minutes early. 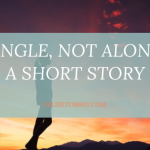 If you meet a Puerto Rican or any other Latin person, learn to live with it. We can’t help it. One of our comedians once poked fun at how Puerto Rican protests differ from US protests. In the US, protests are organized and tame. In Puerto Rico, someone will bring a drum and the slogan will be made into a song. We have festivals for everything, from coffee to bananas, to kites and flowers, to chicken and fishing. Each of our 78 towns celebrates a yearly festival to their patron saint. Our Christmas season starts on Thanksgiving and lasts until the end of January. Conclusion: If you want to party, Puerto Rico is the place to be. Puerto Rico is a poor country, but you wouldn’t know it if you visit the malls. They are always full. A new store opens, and we are there. We have the largest shopping mall in the Caribbean, Plaza Las Américas. Enough said. Puerto Rican food is delicious but it’s mostly all fried. We hardly eat vegetables except for the occasional salad. Our diet consists of rice, beans, and fried meat, with some fried plantains on the side. Don’t plan on keeping your diet if you visit Puerto Rico. Puerto Rico is the salsa capital of the world yet most Puerto Ricans don’t know how to salsa dance. They feel like they should take lessons. They don’t want to look foolish in front of other people. I was one of these people, and it wasn’t until I moved to a small town in Germany where I finally learned Puerto Rican style salsa from a German couple. The irony. Just because you live on an island surrounded by water, doesn’t mean you know how to swim. The beach is for sunbathing and then cooling off in the water when it gets too hot. It’s not for swimming. You’re supposed to stand in the water, look around and/or talk. It’s not a sporting event. It can be dangerous to swim. This is why I still don’t know how to swim and may never learn. Here in Germany, it’s rare to find swimming lessons for adults since most everyone takes lessons when they’re children. 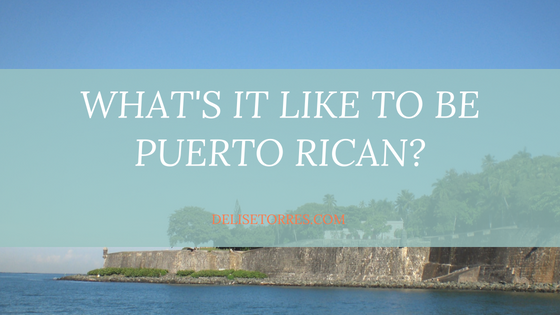 Puerto Rican Spanish is a mixture of our Indian Taino heritage, African heritage, and English. In Puerto Rico, an orange is not a naranja, but a china. Supposedly, Puerto Ricans gave it the name that was stamped on the bag they came from–China. We use many English words like strawberries, parking, and truck, but pronounced, of course, a la Puerto Rican: estrawberries, palking, tro. Other Latin countries make fun of our accent, but we don’t care. People in Puerto Rico break traffic rules all the time. They don’t use the signal when they want to change lanes. Slow vehicles travel in the left lane without moving over. Not everyone follows the speed limit. Cars that should be in junkyards travel the streets. You have to keep your eyes open at all times and watch every car around you. The people driving may or may not have a driver’s license. If they do, it doesn’t necessarily mean they passed the test. I love Puerto Rico and I miss it. It’s a unique land with a unique history. We’re part of Latin America but belong to the United States. Our education, government, and law systems stem from the US, yet our culture, music, and food match those of the rest of the Latin community. We have economic issues and many of us have had to leave our country in order to make a better life for ourselves and our families. Yet Puerto Rico is a part of us, and we talk about everything it has to offer to everyone willing to listen. Once you meet a Puerto Rican, you will learn about Puerto Rico and will always know where we’re from. 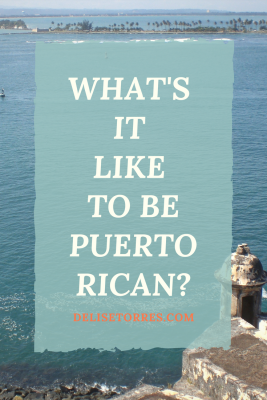 Are you Puerto Rican and have more to add or think I’m off base? Let me know in the comments below. 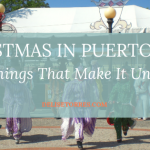 And if you’ve met a Puerto Rican or visited Puerto Rico, does any of this resonate with you? I’d love to hear your anecdotes. Posted in Puerto RicocommentLeave a Comment on What’s it like to be Puerto Rican?